“Thoughts on Social Media Marketing Is It a Fad?” This was recently posted on an Automotive Aftermarket Networking page last week. It was no surprise that there were over 200 comments, and the overwhelming sentiment is that it is NOT a fad. Many respondents say that it has played a key role growing his or her business, and it is necessary for brand awareness. Others agree about the importance of social media marketing, but have issues with changing algorithms and organic reach. There still seems to be a lot of confusion about what is the best way to approach social media marketing. While I didn’t comment to the post, it inspired me to write this blog post. Facebook business pages were launched in 2007 and was still a relatively new concept in 2009. At the time I was interviewing for a Communications Specialist position. I asked the VP of Marketing and Sales what he thought about social media. He quickly replied that he felt it was a fad. I got the job, and in 2010, I had the opportunity to start the brand’s Facebook page. When I left the company in 2015, the brand’s Facebook page had over 800,000 followers and social media platforms included Twitter, Instagram, LinkedIn, YouTube and Google+. It would be nice to think that all of the success was due to organic reach, but it wasn’t. With a minimal budget, we utilized social media marketing early on primarily to promote campaigns and contests. Via promoted posts and tweets we were able to target audiences that wouldn’t otherwise be exposed to our posts. It was fascinating to watch the insights and page likes go up. While we had the support of the promotional posts to the page traffic, I then began to “train” our page fans to look for multiple posts a day. This approach would hopefully foster continued organic reach. Based on the traffic we were experiencing, Dennis Yu of Blitzmetrics recommended that I post 2-3 times a day. It seems like a lot, but if you think about the key times that people access their social media (morning, afternoon and evening), it makes sense that you are reaching different audiences with each post. I was fortunate that the company offered a wide variety of products to B2B and B2C customers. That way, I ensured that every image I posted could be directly related to a product we sold. You social media marketing efforts cannot live outside of your overall Content Strategy. Instead, in this day and age of mobile and digital communication, it is one of the most important components. If you look at the Social Media Marketing Cycle illustrated below you start at the top with your goals. These goals should mirror your overall marketing goals. The next two parts of the cycle – Content and Target work hand in hand and could perhaps be switched in the cycle. Who are the personas you are targeting? More than likely you have more than one. So with each persona, what is the right content? You wouldn’t post the same content aimed at the gearhead and and use it to engage the minivan mom. Then consider how are you going to amplify your content? You can spend your budget correctly by targeting, but also being flexible enough to re-target and optimize those posts. 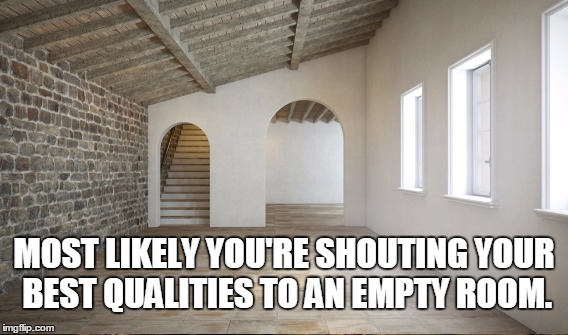 If you aren’t willing to analyze your targeting to ensure you’re getting the most traction from your spend, most likely you’re shouting your best qualities to an empty room. Finally, keep an eye on your insights, and know how to explain them. Starting with a small social media budget that yields good results will give you leverage to ask for more the next quarter or fiscal year. Thanks for this. Very informative. Looking forward for 2017 what do you imagine to be the biggest change in the social media landscape? For me I’ll be focusing on gaining traffic from Instagram. Any tips? Previous PostPrevious Does your work evaluation matter, or is it a filed formality? Next PostNext Personal Branding – What is your “Why”?